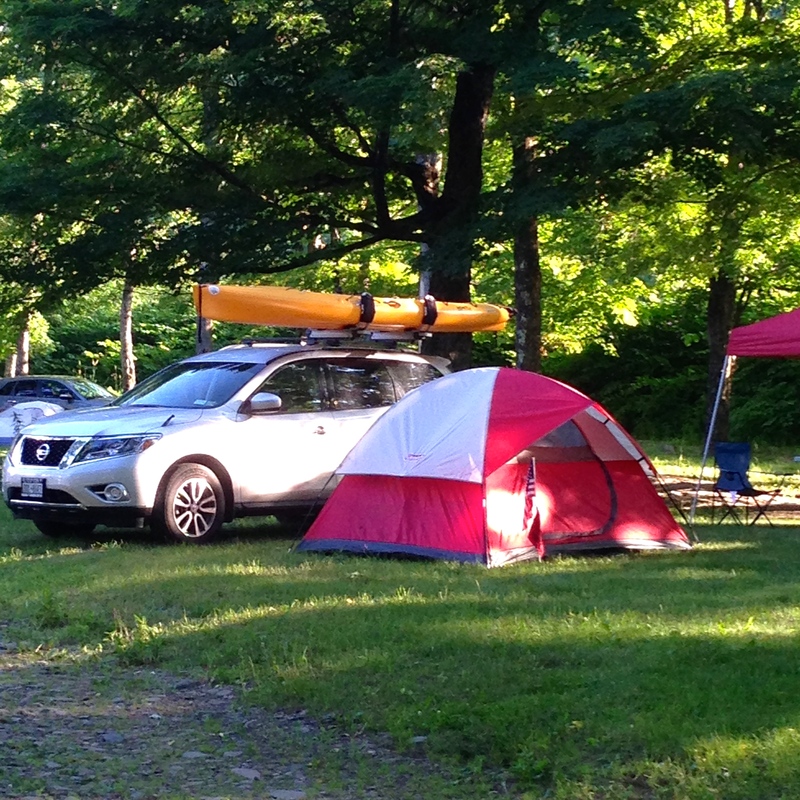 Our spacious tent sites are nestled along the banks of the Beaverkill River with spectacular views of the Catskill Mountains. Each site includes a picnic table and fire ring. Charcoal grill is available upon request. Sites provide convenient on site parking for your vehicle. 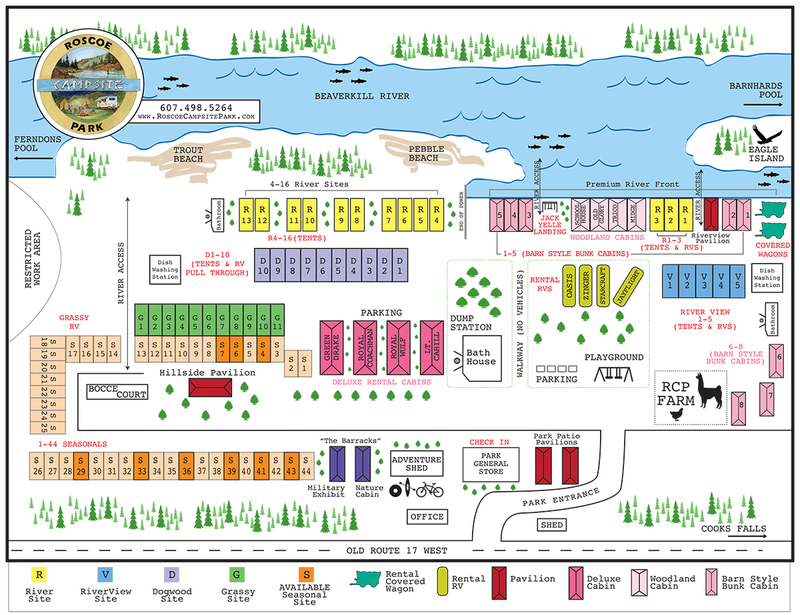 All tent sites include the free use of our newly renovated bathhouse equipped with hot showers and flush toilets. Free wi-fi also available throughout the park. 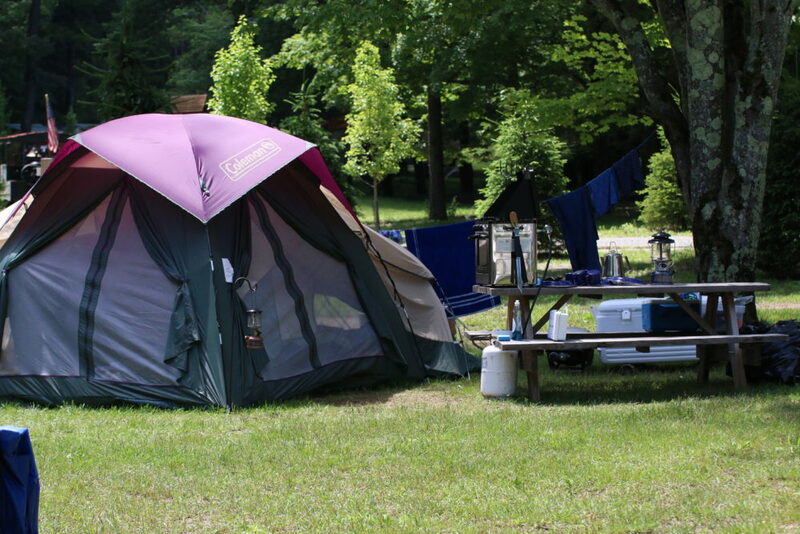 Tent Premium River Sites with water and electric – $60.00 / Per Night. $420 weekly. 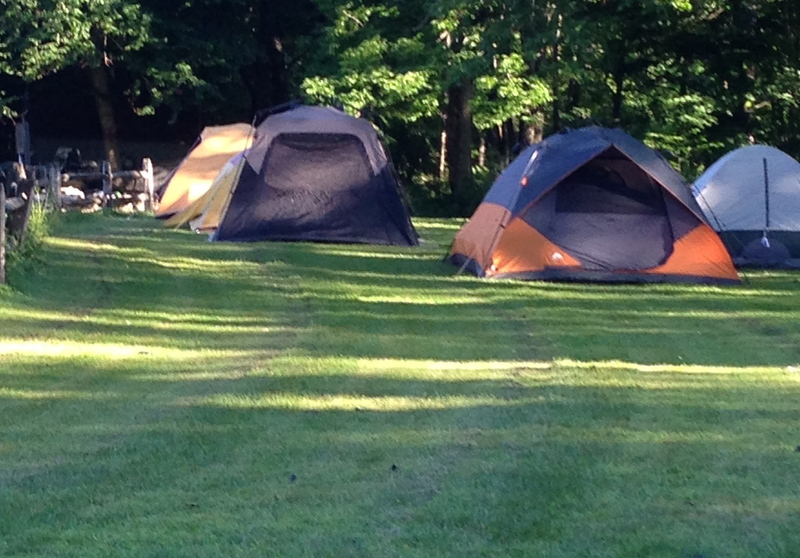 Tent sites with water and electric – $50.00 / Per Night. $ 350 weekly. Holiday Weekend – $75 / Per Night. 3 Night minimum required.